It's a simple thing that most people probably do without thinking every day - applying deodorant. Deodorant prevents people from sweating too much under their arms and also combats the body odor sweaty underarms can cause. For most people, deodorant comes from the store in a little tube or spray can. But store-bought deodorant may not be the best choice for people with sensitive skin, who are prone to getting rashes from some of the harsh chemicals in over the counter deodorants. In reality, store-bought deodorant may not be the best choice for anyone, even those without sensitive skin. The chemicals in commercial deodorants include aluminum, which is thought to cause both Alzheimer's and cancer, and parabens, which can cause all kinds of damage to our bodies. Propylene glycol, phthalates and triclosan are other harmful chemicals that most deodorants contain. All of these substances are being absorbed by our skin when we wear deodorant, according to this Natural News article. Our culture does not tolerate body odor very well, so what can people do to avoid using these harmful chemicals on their bodies? Organic and all-natural deodorants can cost 3-4 times as much as the regular kind, and who can afford that? Luckily, there is a solution to the deodorant problem. There are many ways to make your own deodorant using safe, household ingredients (not chemicals). Homemade deodorant costs only a fraction of what all-natural deodorant sells for, making it easier to make sure you aren't exposed to any harmful chemicals. The simplest deodorant recipe is coconut oil and baking soda with some cornstarch. Although these are all natural ingredients, both cornstarch and baking soda have been found to irritate some users, and some have complained that the coconut oil alone can stain clothing. DIY deodorant makers have figured out over the years that different natural substances can be added to this mixture to make a highly effective, yet chemical-free deodorant. 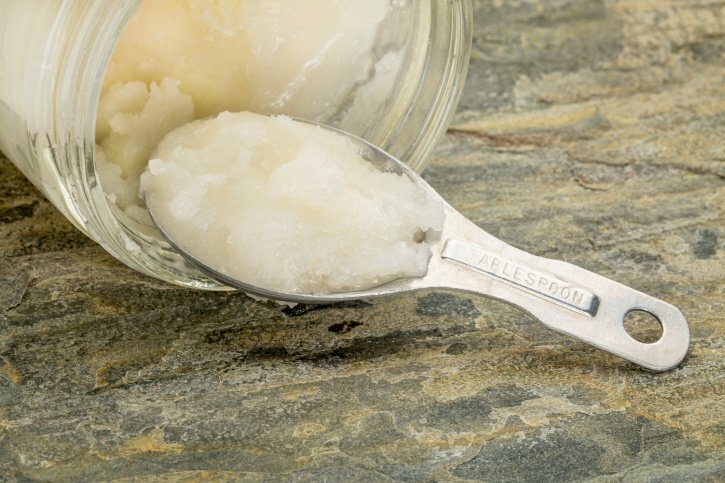 Here is a recipe for solid homemade deodorant that contains no chemicals of any kind. 1. Melt oils, shea butter and beeswax over double boiler until everything melts. Beeswax will melt last, just keep stirring. 2. Cool for a few minutes, then add all the dry ingredients and essential oils. Whisk vigorously until fully combined. 3. Pour into container and let set up. This deodorant is applied with the fingertips. Some people report an initial few days to a week of "detoxing" from regular deodorant during which it may seem like the deodorant isn't working to prevent sweating or body odor. It is advised to give at least a one-week period to determine whether it works due to this possible detox phase. Biconi's 100% Cold Pressed Virgin Coconut Oil is perfect for use in all your deodorant recipes and has many uses for skin, hair and the home.